Among you there must already have a digital SLR camera, mirror less camera, even a pocket camera. Of course not every time you bring a camera when you leave your house, but I can confirm that you definitely do not forget to bring your smart phone. I and many other people will be a little panic when leaving the mobile phone in the house. We often see, even Barack Obama, the president of a superpower also always remember to bring smartphone, in addition to communication, the occasional Obama wants photo with the president, king or prime minister of another country using a smartphone, then he share photos with bluetooth facility. Obama's also a social human beings like us. 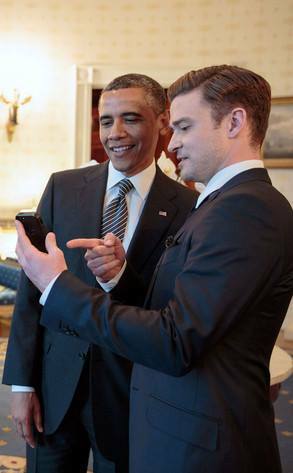 Does President Obama also likes to upload photos to social networks like Twitter or Facebook? If you use a smart phone that made ​​the last three years, must have been equipped with ability of the camera, and even mobile phones today are equipped with advanced features to photograph, even for shooting in low-light conditions with a fairly large sensor. You can buy a smartphone with a minimum resolution of 5 mega pixels. 1. Choose the highest quality. At any a smartphone such as the BlackBerry, iPhone, android phones and other systems must have the option to adjust the image resolution (pixels) and image quality (fine, Superfine, etc). There is also a maximum size, but there is also the option to upload on the website, and the smallest to send your photos via E-Mail. Accordingly use of the highest quality so that you can get sharper photos. Now many camera phones that have the macro feature, so you can take pictures of flowers, butterflies other small objects. To get a good macro picture, mak a feature you have to try this several times. little light that can be captured. Similarly, the more light received object, the more bright and clear images. Remember to avoid direct light into the camera because the image will get excess light in one piece, and too dark in others. 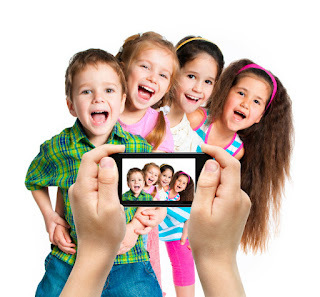 The camera phone is easy to produce images that blurred, probably because the users hand a little shake when shooting. If there is a stabilization feature, then switch the feature. Get used to hold you’re a smartphone with two hands so you get a stable picture. 5. Law of three parts. This is a guide line that normally exists in the camera. If you do not find it, then you can get applications for these needs. Remember, when visible lines crossing each other, place the object in the main point there. This is a simple trick that can produce an interesting photo. In your phone equipped with a camera panorama feature, so if you find this feature, use for photographing landscapes or pictures together, even digital cameras were not necessarily have this feature. Maybe you are a little disappointed with the photos that you take with your smartphone. Take advantage of the editing features available on your a smartphone, for example to crop, change a color photo to black and white and a variety of other photo creations. Now you can get a a smartphone with features and advanced technology such as photography can be found on the Sony Xperia, HTC One X, iPhone 5, BlackBerry Z10, Nokia Lumia 920 and other famous brands.